The Aadhar project, Unique Identification program launched by the central govt. is seeming like a white elephant to economists and the National Identification Authority of India Bill, 2010 was scrapped by the standing committee. The working of these Aadhar centres in town was not good either, now to peak it all all centers are closed by the operators working there as they did not get their pay. People were queening since early morning to get the token and then had to come again for the scanning etc. Seeing the rush the agent babu’s also made wholesome money and people told this blog they paid upto Rs.1000 to the agents for getting their card done. There are no clear objectives on why the database is being compiled, and even within the ruling party there are differences of stance. The government is spending crores on this project, and so far only 8 crore people have been covered. UID project Aadhaar, will be spending a whopping Rs45,000 crore on the project. But all this money will be spent only on creating a UID number and not a physical ID card-since there is no budget for issuing such cards. There were many protests in the city as to the working of these centers etc but nothing much has happened. And after the standing committee categorically conveyed their unacceptability of the National Identification Authority of India Bill, 2010. 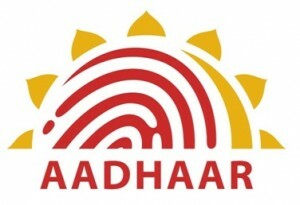 The Committee urged the Government to reconsider and review the UID scheme. hey i m a operator for aadhar i v all operators have not got our sallary from 2 months, plz helps us wat to do nw we r on strike….. n plz suggest us where to complain about this sallary problem..
so i have not yet filled for m for it so i wont be able to get ny Aadhar card now ..?? This was expected!!! It is doomed! I almost applied for Aadhar at the Karvy centre… near civil hospital a few months back and on the day off appointment was told the DC has stopped them, because they wanted to start the programme of enrollment. Later after a few days wait, the other Aadhhar centres were announced. I was there, one day early morning only to be told that limited token would be given. Many visits over days and each day, were turned down by the dumb people operating the centre for their own reason, I decided I do not need a Aaadhar card. The same happenned with ration cards, all biometrics collected, taken yet no card was issued at all. God knows where our system is headed!!! Do we really need a Aadhar with all the problems to issue one?? ?